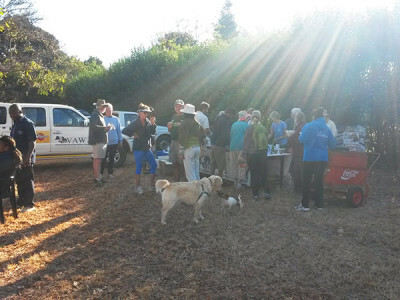 At 6.30 am on a crisp and sunny winter morning VAWZ Committee Members and a fantastic turnout of dogs and their owners went walking 5kms around the beautiful surrounds of Wingate golf course. 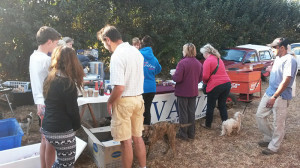 As the dogs and walkers returned from their trek they were greeted with freshly made Egg & Bacon rolls a yoghurt and bottled water along with a hot cup of coffee or tea all made by our wonderful Committee girls with Mel Hood at the helm. 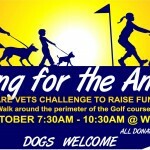 The best part of this morning was the coming together of all the wonderful people who supported the VAWZ cause, and their beautiful dogs who got to know one another on a very personal “sniffing” basis and telling each other how they were looking forward to seeing them again next year for a walk and a strip of bacon together! 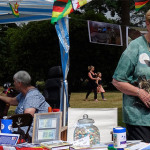 Our thanks go to Dr Clare Savage of Chisipite Veterinary Surgery & Di Fynn for all their hard work in the organisation leading up to this event. 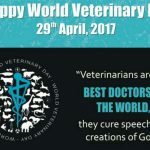 A special thanks to all those Veterinary Surgeons who gave of their precious time to support the VAWZ cause. 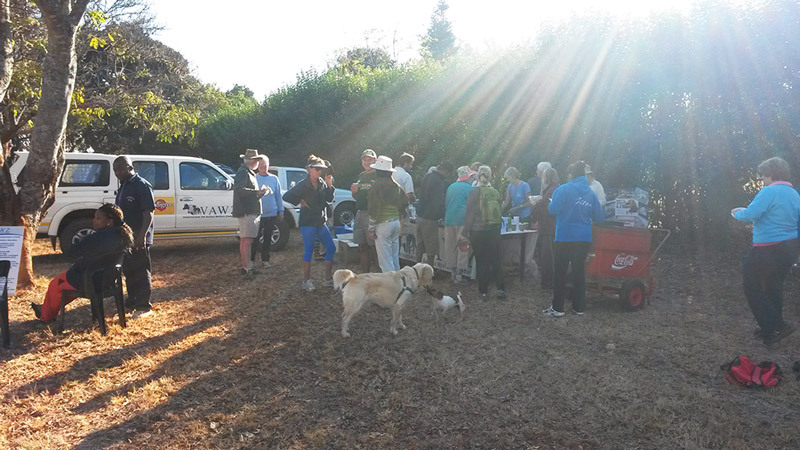 Watch this space for next year’s Veterinarians Walk for VAWZ and come and join in the fun.